There is situated a place Stara Kamienica 10 km west of Jelenia Góra. 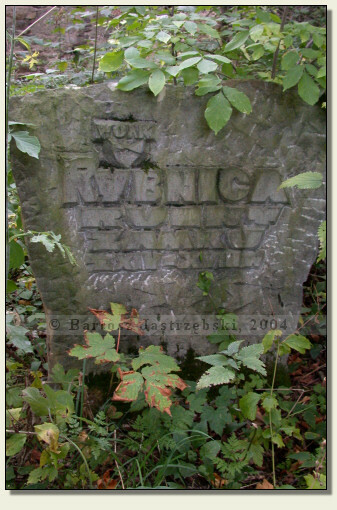 If you drive from there in the direction of Jelenia Góra, you will enter Rybnica. You ought not to do it, however, but around 100 m before the board with the name of the place "Rybnica" turn into a narrow, asphalt road to the right and drive along it straight ahead. After driving under the railroad viaduct, in about 80 m there is a field road to the pond on the right side. You should turn into it, leave car there and walk towards the pond. You must walk round the pond along the shore (not along the road) clockwise. 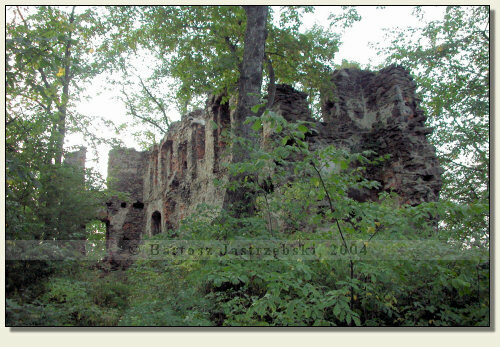 In the scrub on the hill there are the ruins of the castle. You "only" need to climb up there. 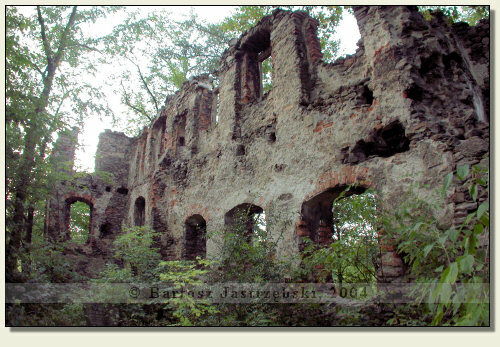 The stronghold in Rybnica was raised as a wooden-earth defensive structure at the end of the XIIIth cent. 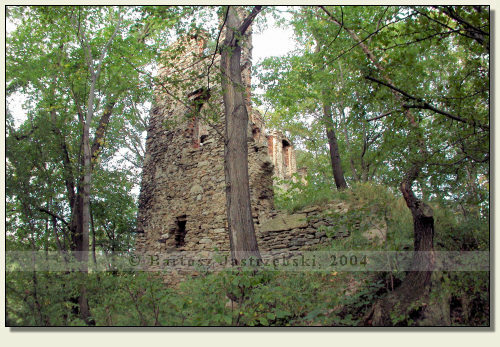 The brick castle came into being the most probably in the years of 1364-1369 by the affair of Karol IV. 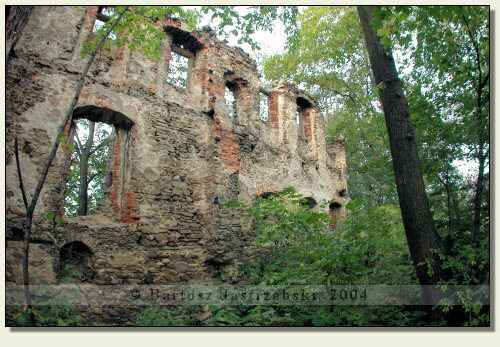 There is a hypothesis, however, saying that in these years the castle was in hands of knight Mikołaj of Rybnica. The building was demolished at the start of the XVth cent., and then rebuilt and enlarged. The castle – reconstructed twice in the XVIIIth cent. was abandoned in the first half of the XIXth cent.